Behind the BREEAM success story Kerri-Emma Dobson. The importance and usefulness of evidence cannot be underestimated. Without it, we can have no confidence in the effectiveness of our past activities or future strategies. Used correctly, however, evidence can be used as a solid bedrock on which to build all our plans. 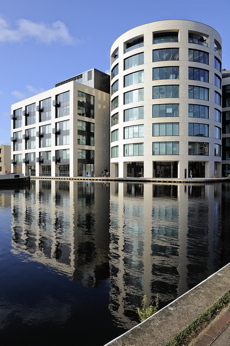 The highest-ever rating in the UK, 95%, was achieved by the Kings Place mixed-use building on London’s Regent’s Canal and won the in-use category of the 2017 BREEAM awards. As a product of the BRE, it comes as no surprise that independent research and sound scientific evidence are fundamental ingredients of the BREEAM standard. What’s possibly less commonly recognised is the ongoing role cutting-edge research plays in the continual development of BREEAM, keeping the standard at the very forefront of the latest green-building thinking and helping to drive excellence in sustainability across the globe. Since its launch in 1990, BREEAM has expanded its reach to 78 countries with 2 626 873 registered buildings and 561 191 certificates issued worldwide to date. With an 80% market share, BREEAM dominates the European green-building market. And with the recent launch of BREEAM USA, we’re hoping to replicate this success in North America. We believe one of the main keys to the growth of BREEAM is in its flexibility and ongoing development. BREEAM has been adapted for individual markets across the globe to enable the assessment and certification of various built environment projects, including new builds, refurbishments, wider master-planning projects, infrastructure and even the current operational sustainability of a functional building. The methodology is constantly adapted to stay ahead of best practice within the industry, meaning those undertaking the standard can always be sure their asset is certified against the most rigorous sustainability criteria. In-depth research, freely available through our website, is central to this endeavour. The second factor driving BREEAM’s uptake both in the UK and overseas is the ever-deeper understanding of the business case for green buildings. 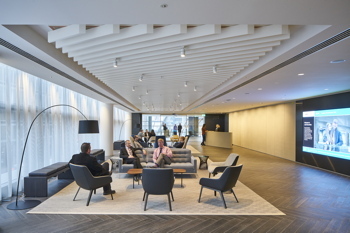 The refurbishment of the new head office of Land Securities in Victoria, London, has achieved a BREEAM ‘Outstanding’ at design stage with a score of 92.3%, currently the highest rating in its category in the UK. A recent study found the global market will respond accordingly. The World Green Building Trends predicts a near 100% rise in the number of green buildings by 2018 — at which time it estimates that 37% of companies will have the majority of their estate certified sustainable, up from 18% when the report was published last year. By generating the latest, leading thinking on all aspects of sustainable development and incorporating it into the standard, BRE is focused on ensuring BREEAM is able to meet this demand. Using the latest research to continuously amend and adapt the BREEAM criteria, companies and communities utilising the standard worldwide will be able achieve the very best green results possible. We understand the importance of evidence and the effect it can have on a person or organisation’s thinking and the strategies they put in place. This is why we take such care with the evidence we publish in our research, such as is included in our recent ‘Value of BREEAM to retail’ in the UK report. Through the publication of such research, we hope to give companies across the globe the confidence to invest further in sustainable development and assurance that BREEAM can help them on their journey to a greener way of working. Kerri-Emma Dobson, is BREEAM technical consultant at BRE. For more information on BREEAM visit the link below.